To meet investors’ need for diversification and demand for alternative investment solutions, Natixis Investment Managers has announced the expansion of its private debt capabilities with the acquisition of a European Credit specialist focused on upper mid-cap private debt. The acquisition of MV Credit marks another important step in the development of Natixis Investment Managers’ European real assets range, providing investors with access to a wide range of strategies in private equity, private debt, real estate, and infrastructure. MV Credit will remain fully autonomous while being able to access Natixis Investment Managers’ centralised global distribution capabilities. The acquisition, consistent with the objectives of Natixis’ New Dimension strategic plan, will be fee rate accretive, and the impact of the transaction on Natixis’ CET1 ratio is estimated at around 10bps. MV Credit is a long-established, UK-based, European credit specialist founded in 2000. The firm is differentiated by its experienced and independent team, with 18 years of investment experience across all credit cycles and an investment philosophy built on two core principles: rigorous credit analysis and active portfolio management. Over the years, MV Credit funds have invested more than €5 billion in close to 500 debt financing solutions and have delivered a consistent top quartile track record. As a fully autonomous affiliate of Natixis Investment Managers, there will be no changes to MV Credit’s operations, branding, staffing or investment strategies, and the existing management team will continue to lead the firm as a partnership. Natixis Investment Managers offers investment solutions from some of the world’s leading highconviction active investment managers. This multi-affiliate structure is built on a belief in the power of independent and active thinking, the ultimate objective being to better serve investors and help them to build strong and diversified portfolios over the long term. “The combination of MV Credit’s proven track record, experienced management team, and strong expertise in subordinated and senior debts will make a substantial contribution to our European real assets range. 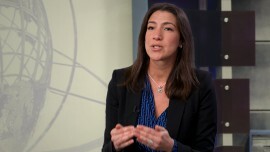 MV Credit’s entrepreneurial mindset and highly-active investment approach will fit perfectly within our multi-affiliate model and provide our investors access to a unique new range of private debt strategies,” commented Jean Raby, CEO of Natixis Investment Managers. Natixis Investment Managers serves financial professionals with more insightful ways to construct portfolios. Powered by the expertise of 26 specialized investment managers globally, we apply Active ThinkingSM to deliver proactive solutions that help clients pursue better outcomes in all markets. Natixis ranks among the world’s largest asset management firms1 with more than $1 trillion assets under management2 (€818.1 billion AUM). 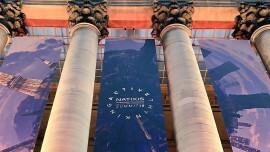 Headquartered in Paris and Boston, Natixis Investment Managers is a subsidiary of Natixis. Listed on the Paris Stock Exchange, Natixis is a subsidiary of BPCE, the second-largest banking group in France. For additional information, please visit the company’s website at im.natixis.com | LinkedIn: linkedin.com/company/natixis-investment-managers. Natixis Investment Managers includes all of the investment management and distribution entities affiliated with Natixis Distribution, L.P. and Natixis Investment Managers S.A.
1 Cerulli Quantitative Update: Global Markets 2017 ranked Natixis Investment Managers (formerly Natixis Global Asset Management) as the 15th largest asset manager in the world based on assets under management as of December 31, 2016. 2 Net asset value as at March 31, 2018. Assets under management (“AUM”), as reported, may include notional assets, assets serviced, gross assets and other types of non-regulatory AUM. MV Credit is an independently managed private credit firm founded in 2000. One of the first private credit firms to be established in Europe, MV Credit possesses the longest established management team in the private credit space, with a senior team who has on average over twenty years’ experience. Since inception MV Credit has invested circa €5bn in over 500 bespoke debt financing deals, building over time strong long-term relationships with top-tier sponsors. MV Credit invests in senior and subordinated debt across Europe, targeting non-cyclical, defensive industries and regions where we have a strong understanding. The firm’s deep experience enables us to add value by providing tailored financing solutions to high-quality businesses, alongside adding value through active engagement.